Uncle Pen Am I That Easy to Forget? Russell's own M400 & Chamberlin (model unknown)? Leon Russell (1942-2016) played an eclectic mixture of blues, soul, country and just about anything else you can think of. 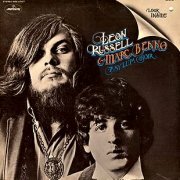 Despite never crediting the thing, I believe he owned both a Mellotron (M400) and a Chamberlin, using the latter on quite a few recordings, the first of which is 1968's slightly ill-advised 'psychedelic' offering, Look Inside the Asylum Choir, actually credited to 'Leon Russell Marc Benno Asylum Choir'. It's actually not a bad effort, all things considered, and absolutely bugger-all like anything else Russell ever produced, once he was given free rein. It's exceedingly short, bearing the hallmarks of the genre cash-in, although I'm quite sure Russell was manoeuvred into it by whichever bunch of shysters he was signed to at the time. Best tracks? Probably bluesy psych (!) opener Welcome To Hollywood and the whimsical Icicle Star Tree. Chamberlin strings on Death Of The Flowers, but despite other possible parts scattered throughout the record, that's probably it for this one. 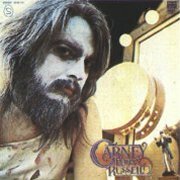 I can't hear any on 1971's Leon Russell & the Shelter People, but the following year's Carney has it on several tracks. Cajun Love Song has strings and brass on, er, a Cajun-style thing, while the under-a-minute title track has jaunty, fairground-style brass, and the frankly weird Acid Annapolis has male voices, alongside the real thing. The album's Chamby highlight, however, is This Masquerade, opening with an overdubbed strings and vibes part, with possibly other sounds thrown in, with strings (I think) on Magic Mirror, too. 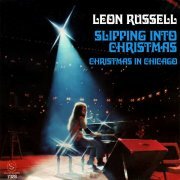 Slipping Into Christmas is a distinct oddity in the Russell catalogue; it sold well upon release, but has been totally unavailable since the single's deletion, appearing on no Russell album or general seasonal records. The reason? Hard to say for certain, but its downbeat, bluesy take on the 'festive season' may have a lot to do with it; this isn't the most cheerful Christmas record you'll ever hear and is all the better for it. The flip, Christmas In Chicago, is musically slightly more upbeat, but even less so lyrically, if that's possible. 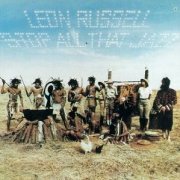 Leon plays jazzy (presumably) Chamby strings on the top side, plus a grungy flute solo, quite clearly tape-driven. This is almost impossible to find, although some kind soul has put a recording of his scratchy old copy onto YouTube, making it rather more accessible. 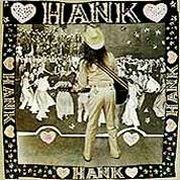 Nothing audible on '72's Asylum Choir II (a second collaboration with Marc Benno), but Russell's first 'country' album (in his own inimitable style), Hank Wilson's Back! has presumably Chamberlin strings on I'm So Lonesome I Could Cry and Am I That Easy To Forget?. Given my usual distaste for most country stuff (honourable exception: Johnny Cash), I surprised myself by quite liking some of this album; Roll In My Sweet Baby's Arms features some of the most furious banjo playing you'll hear this side of Flatt & Scruggs (don't tell me; it is Flatt & Scruggs, right? ), and even the pedal steel stuff didn't make me vomit. 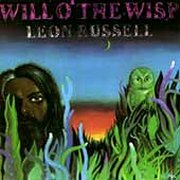 '74's Stop All That Jazz and the following year's Will o'the Wisp are more 'straightforward' Russell albums, whatever you take that to mean; not country, anyway. Stop All That Jazz opens with a bizarre r'n'b take on Tim Hardin's deathless If I Were A Carpenter, then sticks fairly closely to Russell's patented jazz/blues/soul mixture for the rest of the album. Now, why is it that he wouldn't credit his tape-replay use? Full instrumental credits on the album, with the glaring exception of the full-on Chamberlin (?) strings on side two's Big Ballad, Time For Love. Will o'the Wisp's opening pairing of Will o'the Wisp/Little Hideaway is particularly good, although some of the material strikes one as slightly unnecessary (notably closing ballad Lady Blue). Ignoring the comment I made above re. his Chamby/Mellotron use, My Father's Shoes has a really full-on upfront strings part that has to be Mellotron rather than Chamby, although I'm not sure about the intro oboe (clarinet?). Three years on, 1978's Americana is nothing of the sort, by modern standards, being more of a contemporaneous R&B album than anything, at its least dull on the funky, Clavinet-driven Midnight Lover. Russell plays Chamberlin, but, with what sounds like real strings on the album, it's hard to ascertain where. I'll go for strings on When A Man Loves A Woman (not that one), Housewife and closer Jesus On My Side, though there could be more, or, for that matter, less. I'm not recommending this, either way. I'm told there's more tape-replay on some of Russell's other albums; more details when I get to hear them. As for this lot, Carney is the only Chamby 'must-have', though Will o'the Wisp's My Father's Shoes really should be heard. Outlaw country, eh? So when is the most conservative musical force on earth not the most conservative musical force on earth? When it's not sanctioned by the Nashville Mafia, and/or it's by Willie Nelson, Kris Kristofferson, Waylon Jennings or Johnny Cash, who (non-)coincidentally all recorded together in the '80s as The Highwaymen. "So, this is outlaw country, yeah?" "Yup". "But it sounds just like ordinary country!" "Yup". "The most conservative musical force on earth!" "Yup". 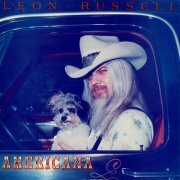 Actually, Willie Nelson's 1979 collaboration with Leon Russell (himself no stranger to the world of C&W), One for the Road, is less straight country than a double album of standards, some of which are performed in a country style, but with enough stylistic variation to ban it outright from the Grand Ole Opry, which, admittedly, doesn't take much. Heartbreak Hotel is taken at a fair country-rock lick, although I'm afraid I can't hear it without thinking of Spinal Tap, while Wild Side Of Life sounds little like either the '20s original or Status Quo's ripping version from a couple of years earlier. You Are My Sunshine and Danny Boy are immediately recognisable, and Summertime hints at other interpreters' jazzier takes, leaving us with an album that's less Nashville and more, um, Vegas? Uncredited as always, it seems likely Russell used his Chamberlin on the album, probably to save money hiring an orchestra; even when it stands alone in the pleasingly sparse mix, it still tries to hide in the corner, having little of its British cousin's brashness. Strings on all highlighted tracks, plus what sounds like vibes on Danny Boy and solo sax on Summertime (listen to the fast run), with a mélange of sounds on several tracks, doing a passable job of aping an orchestra; this is why the Musicians' Union wanted them banned... Top Chamby track? Probably Tenderly, where for a few brief moments, it actually sounds like tape-replay rather than some ersatz pseudo-orchestral emulator. Of course, Willie & Leon clearly didn't want the Chamby to sound like a keyboard, so its refusal to 'make that Mellotron sound' could be seen as a triumph, not a failing. So; a vaguely countryish album by a country legend, aided and abetted by someone who isn't a country legend, but possibly should be. 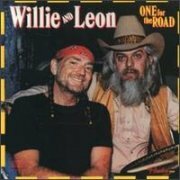 This is definitely more Willie's album than Leon's, although the latter gets a couple of lead vocals, while I'm sure the arrangements are largely his, not to mention all the keyboard work. Believe me, this isn't an album for the rock fan in your life, but nor is it yer typical country workout, either - not a pedal steel in sight. It would get a higher 'T' rating, but the Chamby sounds so much like real strings in places (although it isn't) that it just doesn't have 'that tape-replay sound'. Like Mr. Russell cares. Both participants are still going strong at the time of writing, and although they never collaborated again, One for the Road went gold at the time, so maybe they didn't want to jinx it by attempting a repeat performance?